A Discovery of Witches in Oxford! 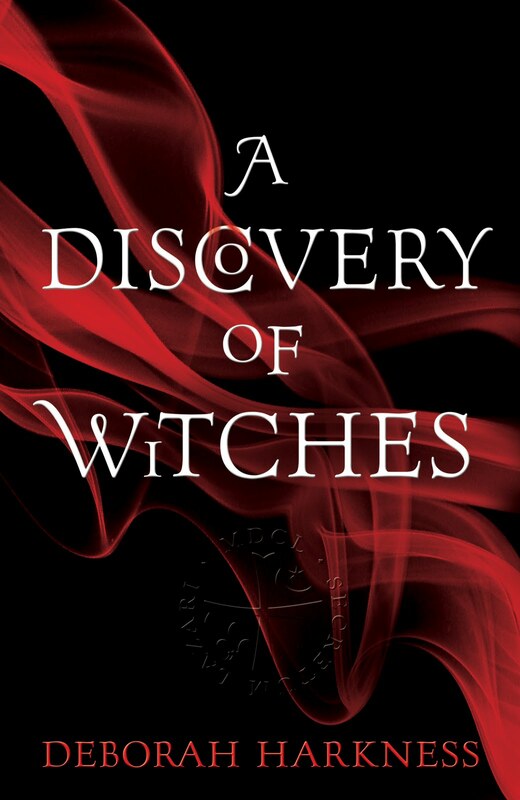 I have just finished reading ‘A Discovery of Witches’ by Deborah Harkness, a book that seems to have attracted much media attention in the past weeks since its publication in early February. I have to confess that I had missed all of this until after I bought the book during a lunchtime browse in Waterstones, but as I began to read, it started cropping up everywhere and I even had a brief conversation with the author on twitter! I was drawn to the book by its cover (yes, I know, but the cover did feature the title as well!) and after reading the description on the jacket I decided that it definitely sounded like the book for me; witches, vampires, AND Oxford! I was quickly hooked into the story as it started out in Oxford featuring many familiar sites and buildings such as the Duke Humphrey's library at the Bodleian, and Blackwell’s bookshop. The main character is Diana Bishop, a witch who tries very hard not to be, who is spending time in Oxford to research alchemical manuscripts. The trouble starts when one of the manuscripts she calls up from the stacks turns out to be not only bewitched, but lost; and a lot of ‘creatures’ (vampires, witches and daemons) are eager to get their hands on it. Soon after she meets Matthew Clairmont, a vampire who she feels drawn to despite a strong prejudice between witches and vampires, and as the mystery of the missing manuscript develops, so does their relationship and the danger they face. I enjoyed this book immensely, and really would describe it as unputdownable as I spent every spare minute I had reading it. It was slightly surreal reading the section set in Oxford though, as I knew all the places featured, so did find myself being super critical, which resulted in my twitter conversation with the author who had picked up on a comment I made referring to a line that said the Iguanodon skeleton and statue of Darwin are in the Pitt Rivers Museum, whereas they are actually in Oxford University Museum of Natural History. Having previously worked at OUM, I find it annoying when people confuse the two, but Deborah Harkness (@DebHarkness) picked up on my comment and was both apologetic and funny in her response, which was great. Having discovered a bit more about the author who, like her lead character, spent time doing research in Oxford and even discovered a lost manuscript, I am tempted to read some of her non-fiction work on the history of science, such as ‘The Jewel House: Elizabethan London and the Scientific Revolution’ as I love Elizabethan history and am partial to a bit of science. More than that though I am looking forward to her next novel, as ‘A Discovery of Witches’ left me wanting more; I shall have to learn to be patient! I am tempted to say that this book is 'Twilight for grownups' or that Matthew Clairmont is 'the thinking woman's Edward Cullen' but I'm concerned that sounds derogatory towards Twilight, which is not what I mean at all. It's definitely not another teen vampire novel though, but will probably be enjoyed by older readers of that genre. I certainly got the same feeling after finishing it that I did after reading Twilight, that same feeling I get after immersing myself in any really good book; a combination of satisfaction and loss that leaves me hungry for more!